Mr. David Gantt started his training with Grandmaster Azad in 1993. He is a 2nd Degree Black Belt and a Certified Instructor at Azad’s Martial Arts Center. His journey in martial arts started as an 8-year-old boy with attention deficit issues. Young David quickly became aware of his strength and inner power through martial arts training with Grandmaster Azad. 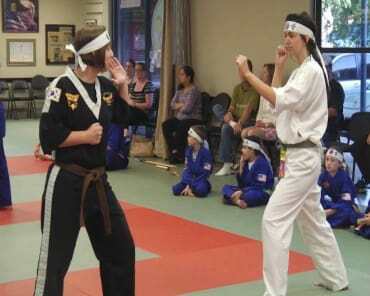 He overcame all his obstacles one by one and skyrocketed toward becoming a black belt. A role model for hundreds of children, teens and adults at Azad’s center, Mr. Gantt continues his martial arts journey. 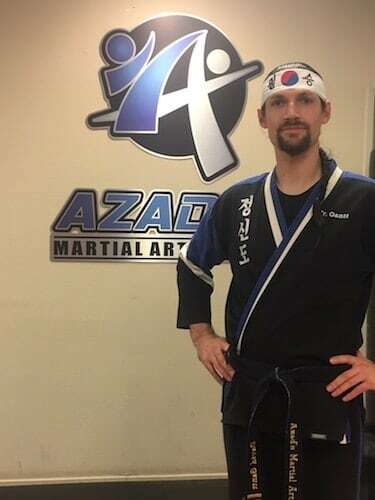 Today Mr. Gantt is an outstanding member of the Black Belt team at Azad’s Martial Arts Center, leading others in various arts such as Taekwondo and Tai Chi Chuan. He is one of Grandmaster’s highest ranked student in the art of Shaolin Tai Chi Chuan leading internal martial arts, health and fitness classes for senior citizens in the community. 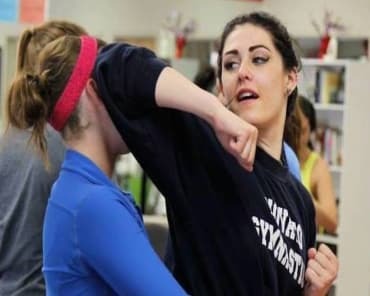 Mr. Gantt is also an Assistant Instructor to Grandmaster in various martial arts classes at California State University, Chico, as well as specialized classes for at-risk youth in the community. 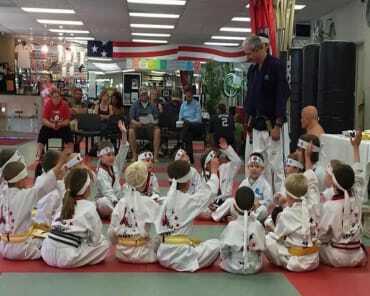 Mr. Gantt’s commitment to the community is also very visible as he volunteers many hours of his time to helping others through different community events sponsored by Azad’s Martial Arts Center. Mr. Gantt is also the lead instructor in Tai Chi Chuan at local retirement centers such as the Oakmont Retirement Center, and Terraces Retirement Community.